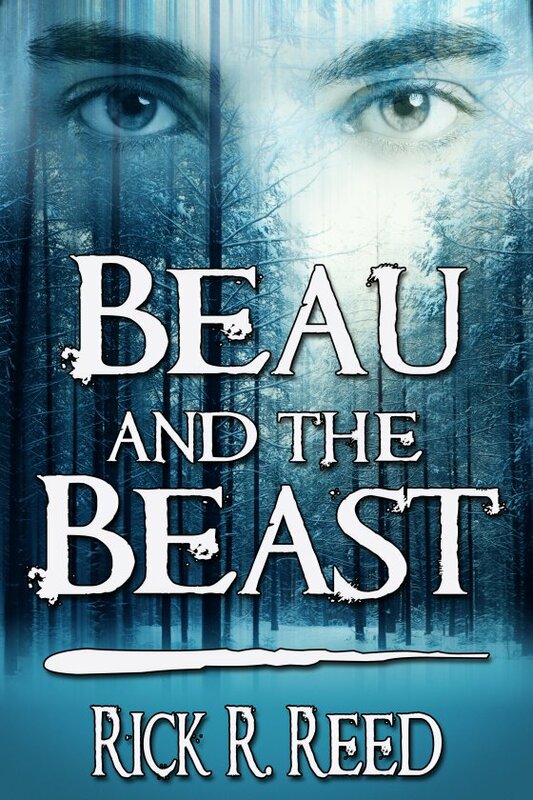 Beau and the Beast by Rick R. Reed is now available! … And awakens in a bedroom, head bandaged, with no memory of how he got there. Outside his window pine trees and mountain vistas beckon. What secrets does the mask hide? What do these two outsiders have in common? And will their odd circumstances bring them to the brink of love — or rip them apart? Inspired by the timeless fairy tale, this is a haunting love story that reveals that beauty truly is in the eye of the beholder. The door opened and a large figure, clothed all in black, stood for a moment, framed in the doorway. His massive shoulders were so broad that Beau wondered if he would have difficulty making his way across the threshold. The man — and Beau was sure it was a man despite not being able to see his face—stood well over six feet tall, perhaps closer to seven. In the form-fitting black jeans and long-sleeved T-shirt, Beau made out a pumped-up body in which the muscles were piled on like slabs. His hands, huge, dwarfed the silver tray he clutched, a tray containing a ceramic teapot and several bowls and plates. Breakfast? Dinner? What time was it, anyway? And, more importantly, was he a prisoner here? The last thought came unbidden, but bolstered by the logic of the most mysterious and disconcerting aspect of the man standing before him — his face was completely covered. And it wasn’t merely covered, but covered in a most unusual fashion: with a mask made of rubber that looked surprisingly realistic — the visage of a wolf. The salt and pepper fur crowning the top of the mask blended perfectly with a mane of salt and pepper hair that hung halfway down the man’s back. “Who are you?” Beau managed to stammer and his words seemed to propel the man forward, although he offered no response. His silence was equal to his appearance in eeriness. Beau caught his breath as the man approached the bed, his footfalls echoing on the hardwood. Beau wanted to ask more, but suddenly lost the power to form words. He could only stare. The man paused at the bed and stooped over, one hand outstretched. Beau imagined he was going to touch him and recoiled, drawing back. But all the guy did was push the Tiffany-style lamp on the bedside table over a few inches, so he could set down the tray. Once he positioned the tray just so, he stood back up and clasped his hands together, staring down at Beau. Even though Beau could not see his face, he had a certainty that this man, creature, whatever was hiding behind the mask, was smiling. Beau glanced up at him and, for the first time, their eyes met. Beau was struck by the intensity of the eyes peering out from behind the holes in the wolf mask. Not only was the gaze fixed and passionate, but also the eyes themselves were remarkable. They were a pale green, the palest shade of green Beau had ever seen on a person, almost a kind of aquamarine, and they were rimmed by long black lashes. They were the kind of eyes, Beau thought, that had inspired that careworn cliché for the eyes: the window to the soul. Just this connection with the man’s eyes calmed Beau somewhat. Even though the man had spoken not a word, there was something in those eyes of his that told Beau he was safe and that the man standing above him meant no harm.